While hip-hop has long had a somewhat deleterious reputation for glorifying gun-toting and gang-banging, Well$ decides to flip the script and take aim at these oft preconceived misconceptions, telling a story that illustrates the consequences of hatred, bullying, and the celebration of violence in media. In his latest release entitled “Lil’ Tommy,” Well$ tells the story of a bold and highly unstable high school student in “war paint and a black trench coat” with dreams of “getting his respect.” Enter Jimmy, a young gay student in Tommys’ class, who after being beaten and abused by his father and forced to “live a lie” decides to join Tommy in exacting the revenge they both crave. The narrative ends rather abruptly, both having lost their lives. Through his highly rhythmic and brilliantly syncopated delivery, Well$ is able to paint a vivid picture of this revenge of the downtrodden tale while still maintaining the somber spirit of the message he so aptly conveys. The dirge-like production, characterized by minor chord progressions and lo-fi samples, serves to perfectly compliment the narrative, only adding to the tracks earnestness. 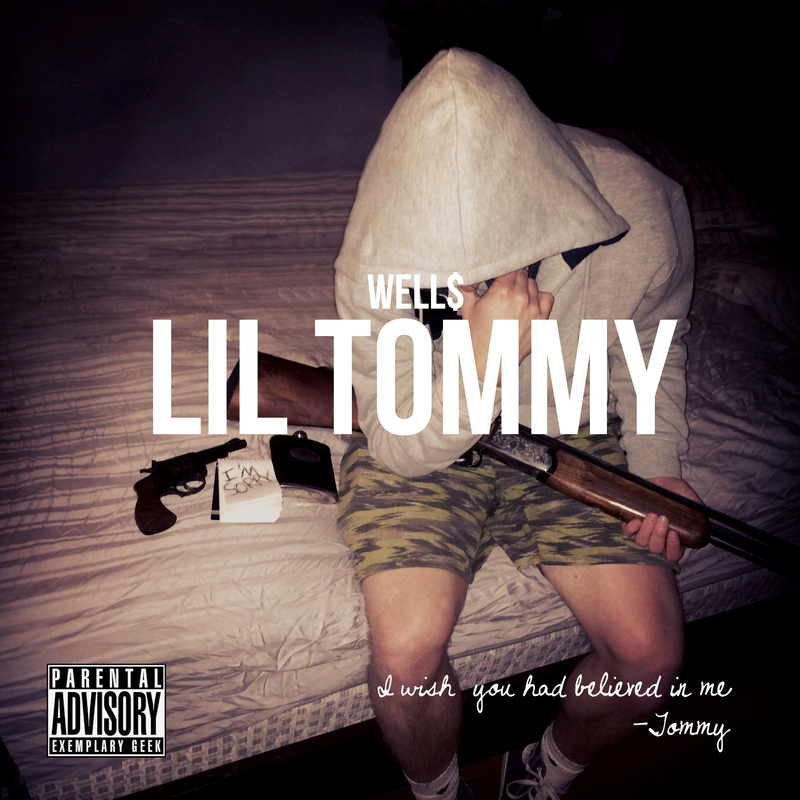 Premiered by the Huffington Post, “Lil’ Tommy” is the third single from Well$’ forthcoming MTSYD: The Revenge of the African Booty Scratcher mixtape. Produced by Shurik’n and THE BL∆CK HE∆RTS CLUB, it follows the audio release of “Black Swan,” debuted by HipHopDX, and the video release of “Savoir-Faire,” which was introduced via Noisey. MTSYD: The Revenge of the African Booty Scratcher will be released in late April. Like most kids in his native town of Charlotte, North Carolina, Leroy Shingu had a head filled with hip-hop dreams growing up, even trying his hand at freestyling when he was all of nine years old. But a trying background starkly different from the blissful suburban reality of his peers would compel the rapper better known as Well$ to turn that childhood fantasy into a promising career as a rapper. Quietly released in 2012, $ay La V, Well$’ debut EP rose steadily on the Bandcamp charts to peak at number 5 and eventually become the most downloaded album in the Charlotte area. This remarkable ascent as well as the video for the song “State of Ecstasy The Interlude Part 1″ hauled Well$ out of virtual anonymity, and shoved him onto high profile stage performances with artists such as G Eazy, Chris Webby, Johnny Polygon, and one of his idols, Pac Div.